Triple digital TV formats, plus analogue TV and video capture too! 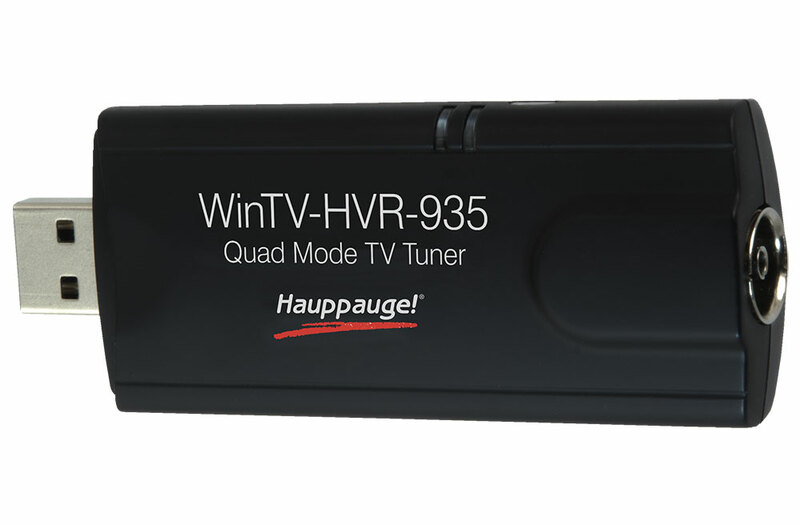 WinTV-HVR-935C-HD is a USB TV tuner with analogue TV and video, plus DVB-T2, DVB-T and DVB-C digital TV reception. You can can receive Freeview HD, Freeview digital terrestrial TV (also called 'DVB-T'), digital cable television and radio (DVB-C) plus analogue cable TV on your PC or notebook. Did you know? In Germany you can receive digital cable TV with only a cable connection. Most areas in Germany which are serviced with digital cable TV have at least the public TV channels (ARD, ZDF, Third Programmes plus many radio stations) available without needing a 'box'. 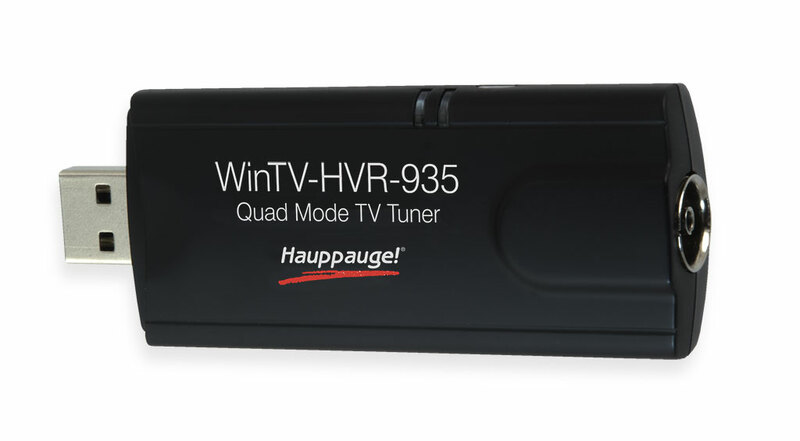 WinTV-HVR-935C-HD is ideal for customers in Germany with free cable TV channels. Check out the public channels in digital quality and also all analog cable TV channels with WinTV-HVR-935C-HD. For KabelBW customers in Baden-Württemberg and since early 2013, and for customers of Unity Media in NRW and Hessen it looks even better: Here also the private TV channels ProSieben / Sat.1 and RTL Group in the cable are digital free receivable. Also cable Germany has abandoned the encryption of many private stations in April 2013. Thanks to the TimeShift function and Hauppauge's WinTV v8 application, you can pause your TV programme by simply clicking the pause button in WinTV v8. Then continue your TV programme at a later time. Record digital TV programmes manually or automatically (with WinTV v8's built-in TV recording scheduler) without quality loss. You can also record analgue TV, which is converted directly into the space-saving MPEG-2 format during recording via opur SoftPVR software encoder. With the Electronic Program Guide for digital TV (DVB-C / DVB-T), you always plan to keep track of the TV program for the next seven days and can directly click of a mouse, the recording of broadcasts. Do not abandon teletext as a proven source of information for news, weather, sports scores, financial information, etc. Using the supplied A/V cable, connect your VCR or camcorder and record your analogue video in digital MPEG-2 format on your hard disk. You can control the WinTV v8 application using the included Hauppauge IR remote control, from the comfort of your couch! DVB-T radio is not DAB radio. DVB-T radio can be received only in some regions. Freeview DVB-T is not available in all areas in the UK. Windows Media Center: The reception of DVB-C in Windows Media Center is only possible if additional software is purchased (DVBLink). Freeview DVB-T is not available in all areas of the UK. * Windows Media Center: The reception of DVB-C TV in Windows Media Center requires additional software (DVBLink).